Raven's Husky Haven and Rescue received its Certificate of Occupancy from DeKalb County and its license to operate from the Illinois Department of Agriculture. The facility was inspired by a Husky named Raven, who was rescued in 2008. 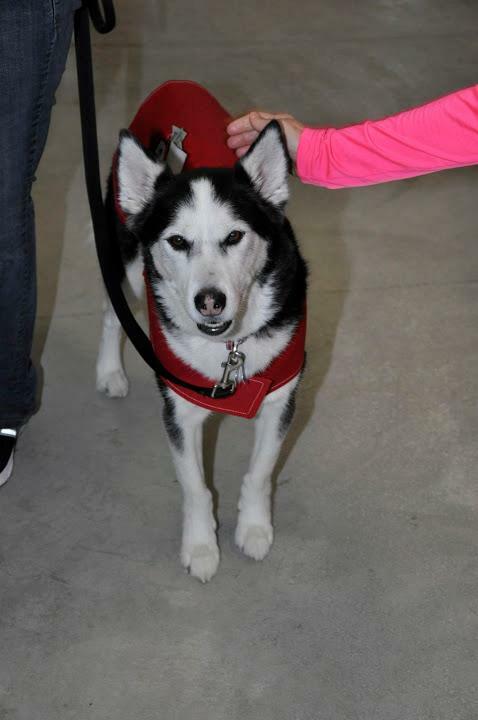 Raven was a therapy dog, proficient at agility, and embodied the loving and playful nature of a Husky. Raven passed away in 2015, and her legacy continues on with every husky that walks through these doors. Raven’s owners purchased a beautiful country site in Sycamore, and worked with DeKalb County Planning, Zoning and Building, DeKalb architect Lisa Sharp with Sharp Architects Inc., and McMackin Construction of Marengo, to design and build a stunning new state of the art facility. The rescue facility, in brilliant red on a hill side, overlooks the Kishwaukee River Valley, is donned by with three Husky weather vanes, and is surrounded by expansive fenced areas for its rescued guests. A dedicated not-for-profit volunteer board is now in place to run the rescue as a registered charitable organization, funded solely by donations, adoption fees and grants. This organization seeks to expand upon the animal rescue concept to suit the special needs of abandoned, stray or otherwise needy Huskies in Northern Illinois and surrounding areas and states. The newly constructed building has excellent air conditioned, ventilated and clean living spaces for the Huskies, indoor and out, a grooming room, a large indoor exercise and training room, and well-fenced outdoor running and play areas. Exercise of mind and body makes for healthy Huskies, who may not perform well in typical shelters or humane society facilities. Second, the rescue will be operated day to day by a breed experienced training professional, who lives on site, and reports to the non-profit Board. Our goal is to do appropriate intake of beautiful rescued Huskies in need, undertake rehabilitation of health and well-being, and to work with the dogs in terms of training and socialization so that their adoptions are happy and sustainable. Raven's Husky Haven works with other shelters in Illinois and beyond to provide a soft landing place for Huskies in need. 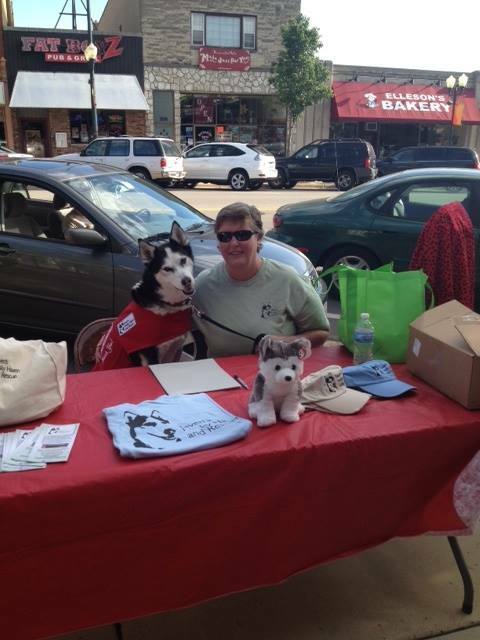 Raven's Husky Haven is also excited to support the NIU community, and is pleased to see the community enjoying the rescue as well. If you are interested in visiting our facility, please email us at info@ravenshuskyhavenandrescue.org to schedule an appointment. A facility tour is a short tour of the facility itself, information giving on our history and how we operate, and a walk through the kennel hallway to view our huskies in their runs. If you are interested in meeting various huskies to get to know them better, that is considered a pre-adoption visit, which starts with submitting an adoption application. If you are searching for a wonderful husky to welcome into your life, you are in the right place! Our "Adoptable Huskies" tab lists the huskies looking for homes, and you can read about our application process there as well! Everything begins with the application, so we advise submitting an application as soon as possible. Approved applicants can then set up times to meet our huskies to find the perfect forever companion. If you are contacting us about a husky in need from a shelter or rescue, please send us a detailed email with the husky’s information. Please understand that we have limited spacing in order to give the huskies here the personalized attention that they deserve, and continually have a wait list from shelters around the area.